You may not realize it, but painting is as much about the process a painter uses as the painter himself. 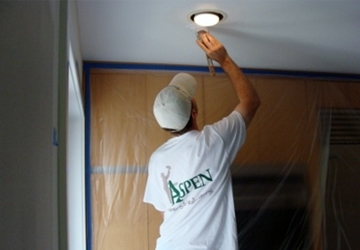 At Aspen Painting, we leave little to chance because we always follow the exact same process. 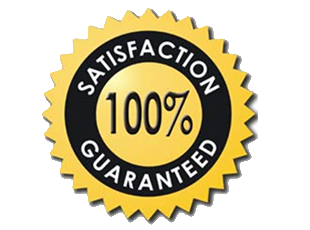 This process is our “secret sauce” and it has allowed us to consistently build a reputation for reliability over the years. Here’s what it looks like in the beginning. When we arrive at your project, the first thing we do is formulate a plan as to what processes will take place first and in what areas. The second thing we do is set up a neat and organized area for our equipment, tools, and products. We use plastic, drop cloths, and tape to protect the surfaces of your home that are not to be painted. 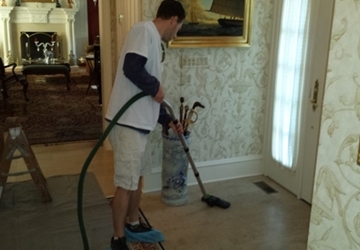 Hardwood and tile floors are protected with rosin paper and /or ramboard for added protection. 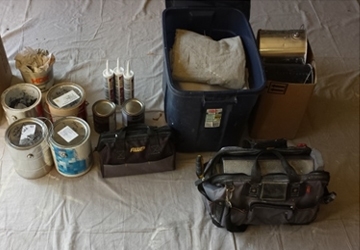 Thorough surface preparation is the key to a successful painting project. 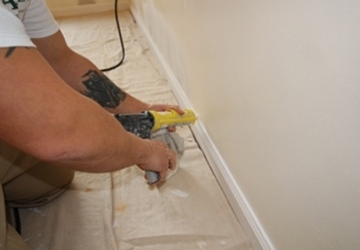 We will patch, sand, caulk, and prime all surfaces as applicable to obtain a properly prepared surface for painting. Once we have properly prepared for your painting project with the “3P’s”, we move on to executing the job on a daily basis in a way that gives our customers confidence and peace of mind. We do our very best to make sure we cover your surfaces completely and consistently with the appropriate amount of paint film thickness. Any painting contractor can estimate a project and most can at least “get started,” but we always want to make sure we “finish well.” We believe that leaving a happy, satisfied customer has been the key to our success. 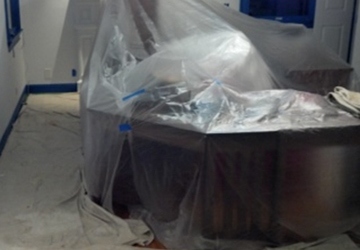 Here’s is how we “wrap up” your project and leave you 100% satisfied! Before we call your project complete and accept payment, we ask you to walk through the project so we may address anything that has escaped our attention. 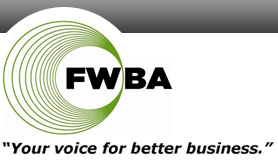 We ask all of our customers to evaluate us on our performance so we may continually improve. If you do not feel that we have provided you with a neat, clean, professional painting project, we will do our best to make it right. If we can’t satisfy you the cost of the paint is absolutely free! Aspen Painting warrants labor and material for a period of seven (7) years. If paint failure appears due to improper application, we will supply labor and materials to correct the condition without cost. 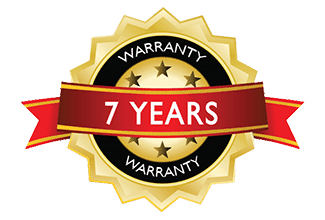 This warranty is in lieu of all other warranties, expressed or implied. Our responsibility is limited to correcting the condition as indicated above. 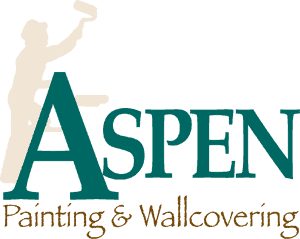 This warranty excludes, and in no event will Aspen Painting be responsible for consequential or incidental damages caused by accident or abuse, normal wear, and tear, temperature changes, settlement or moisture; i.e., cracks caused by expansion and/or contraction. Cracks will be properly prepared as indicated at time of the job, but will not be covered under this warranty. – Painted or stained horizontal walking surfaces (i.e. decks, floors and steps), dirt and mildew accumulation. 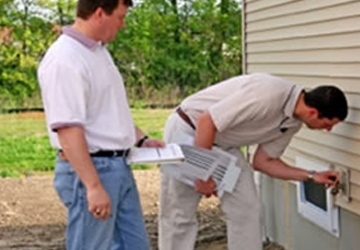 – Paint failure due to rotted wood, structural defects, moisture intrusion, failure of previous coatings, and insect infestation.